October in Melville and Huntington is not just a bunch of hocus-pocus. Explore our guide to just some of the best Halloween events Long Island has to offer, then contact us if you have any more questions! RISE of the Jack O’Lanterns is a month-long celebration of pumpkin decorations. Each weekend, Long Island residents of all ages stroll the gardens of the historic mansion on walkways lit with approximately 5,000 hand-carved pumpkins, multi-pumpkin structures, professional pumpkin sculptors, and even 100-pound pumpkins. If you need a pumpkin break, refuel with apple cider and cider donuts from Jericho Cider Mill. Get your tickets in advance! While this psychic fair Long Island hosts actually has monthly events, attending the Islandwide Psychic Fair at the end of October will really up the spook factor. If you want to get fully into the mood and mystery of Halloween, come talk to clairvoyants, get a tarot card reading, or shop for for jewelry, books, and more. If you are looking for some old-fashioned scares this Halloween, make the trip from Huntington to the Yaphank woods for one of the top-rated Halloween attractions in Long Island at the Yaphank Trail of Terror. Wander on the half-mile trail among the darkened trees and try to survive what might jump out at you next. Once you’ve made it through the woods, you can enjoy outdoor horror movies, a bonfire, and concessions. If you are looking for more kid-friendly activities in Syosset, Halloween Family Day is right nearby! Your little pumpkins can dress up and be mystified by a magician, get their faces painted, do Halloween crafts, and more. There are also guided tours of Walt Whitman’s Birthplace, and the best part is chaperones get in for free! If you and your friends are looking for the ultimate Halloween bar crawl in New York this year, you’ll want to head outside of the Plainview area. This massive event includes a party bus taking you to 3 venues, and 1 hour open bar for well drinks. Imbibe in some spirits while getting into the Halloween spirit this year. 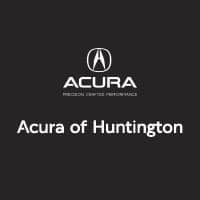 If you are looking for more local recommendations, check out Acura of Huntington’s favorite shopping spots in Long Island, then grab a bit at one of the best restaurants in town! Be sure to check out our winter activity guide when the weather gets colder.